Don’t miss the .99 pre-order special—on release day it goes back up to full price 2.99. Pick up your copy here. 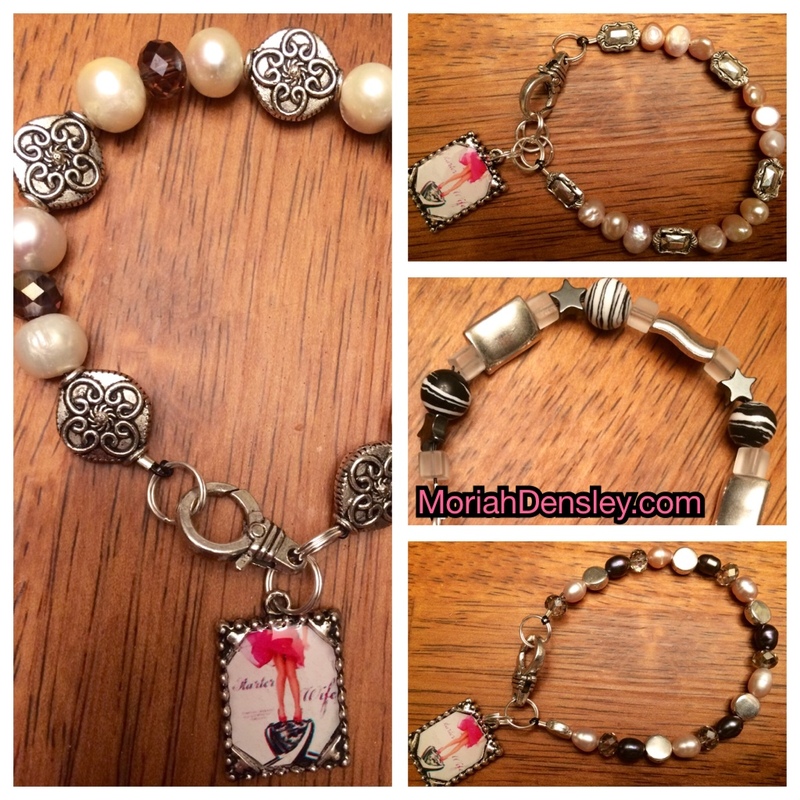 To celebrate, Ms Densley is giving away 4 pearl & Tibetan silver charm booklover bracelets! TJ Gates & Linnea King from Starter Wife might seem like an unlikely match at first, think Hugh Jackman and Grace Kelly. To enter the drawing, you could tell us your favorite “opposites attract” or “odd couple” story. OR… Since the book is set in Las Vegas, she added all the crazy stuff she's seen, living in Vegas the past 10 years. You’ll have to read the book to find out what’s so outrageous about it, but meanwhile you could tell us the weirdest thing you’ve ever seen, and you’re entered into the drawing. OR… If you’re not feeling particularly inspired, we'll be glad to hear a hello from you, and that will do too, but we hope you’ll entertain us with your funny stories. Thanks for stopping by, and good luck! Winners will be announced on release day, Oct. 14, 2014.
haha Well, Fayth97, that certainly counts as weird, and I'm guessing when that lady woke up hungover the next day, she wondered what on earth happened to her shirt... Thanks for stopping by, and it's nice to meet you!